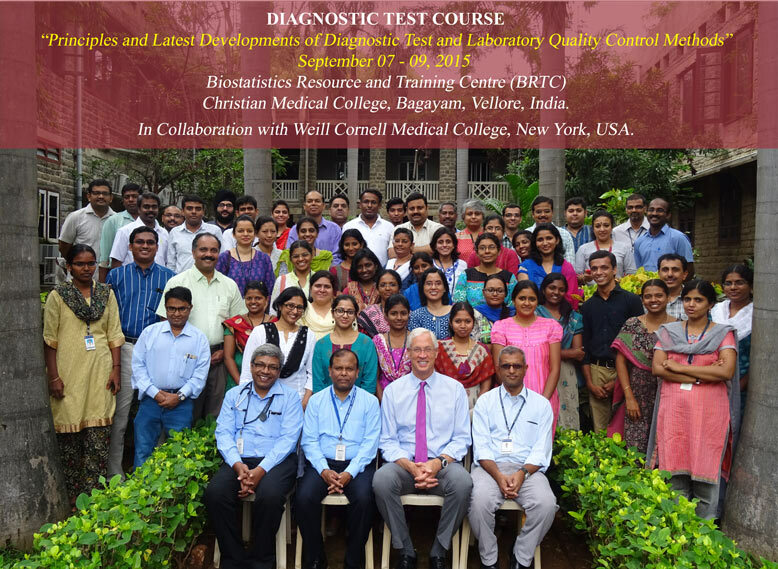 This course provides exhaustive knowledge in the principles and practice of Diagnostic tests to comprehend reliability and validity of a new diagnostic test, the biases and the challenges in designing a study and, critically evaluate a diagnostic study article. This course will also cover the basics of quality control methods in a laboratory. This course will include lectures and comprise a series of practical. Course Fee should be paid in full by August 29, 2015. Payment can be made by Demand Draft (DD) in favour of “Christian Medical College Vellore Association Account “, payable at Vellore.